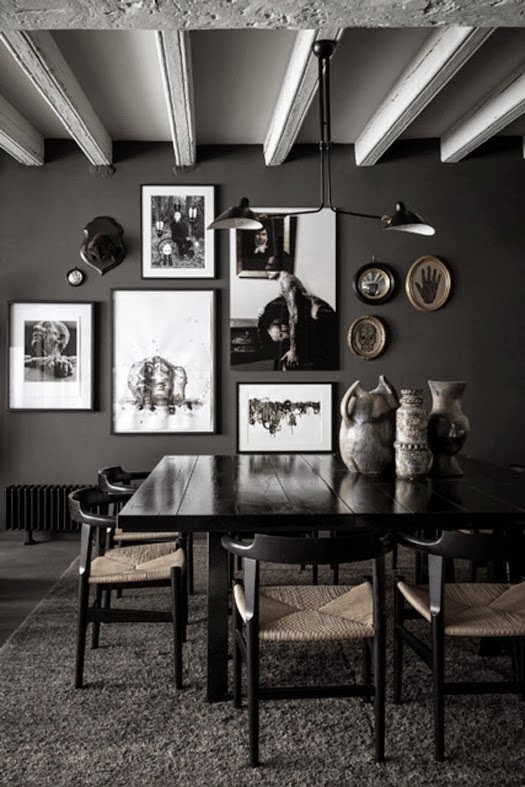 The queen of Swedish interior design Lotta Agaton firmly believes dark coloured walls are the new white in 2014. 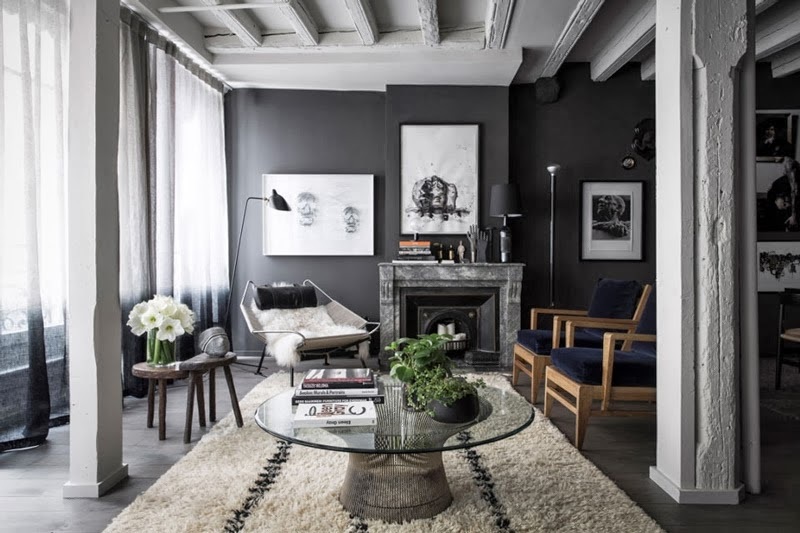 This home mixes dark grey with dark floors and then brightens the space with a lick of white on the ceiling (love those wood beams and pillars!) and white rugs. 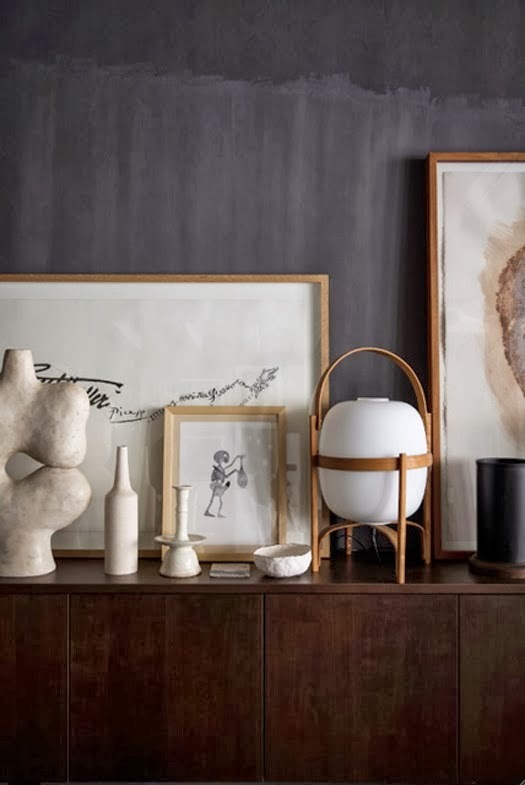 I have to say the pictures on the wall really pop against the dark grey walls. I like it. Could you go the dark side? Or perhaps you're there already?! 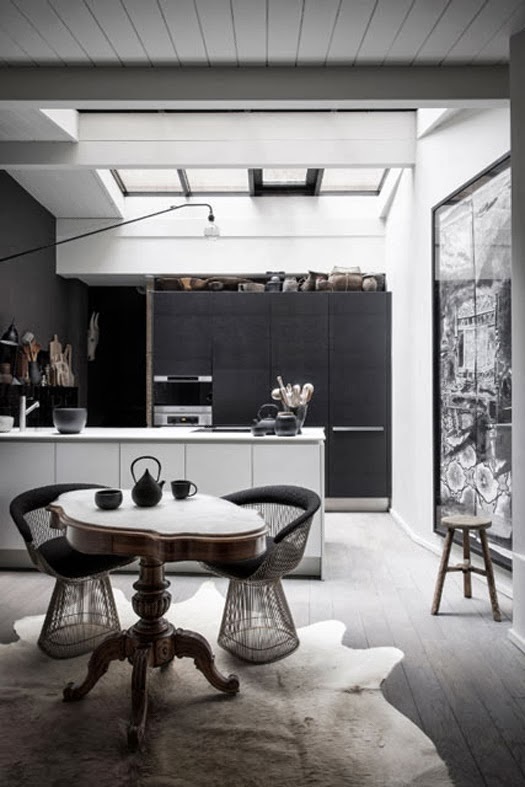 I spy the fab Knoll platner side chairs and Knoll dining table (and they're both on sale too!). I think these are my favourite items of the moment. If you haven't already, don't forget to enter the St.Valentine's Day give-away here, you've got until midnight tomorrow and you know I'd love you to win.